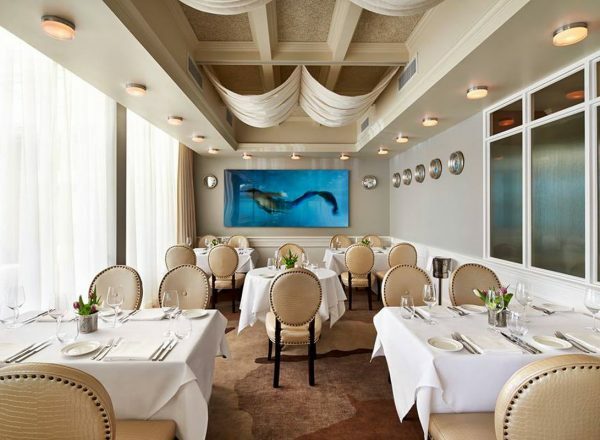 Fiola Mare is located in the trendy and elegant Georgetown neighbourhood in Washington, D.C. 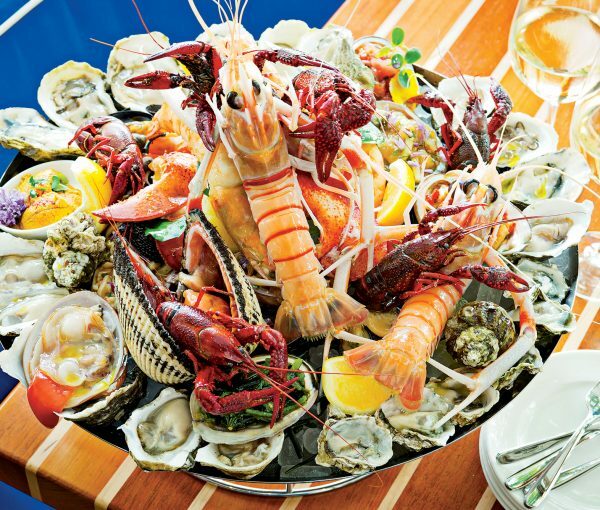 The restaurant sits along the Potomac River, serving fresh and delicious seafood to locals and visitors alike. 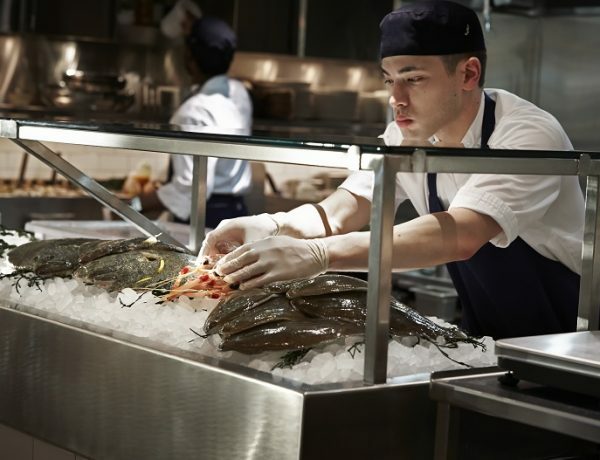 Fiola Mare is part of Fabio Trabocchi’s restaurant dynasty, which also includes the Michelin-starred Fiola, Casa Luca, Sfoglina, and the newly-opened Del Mare. 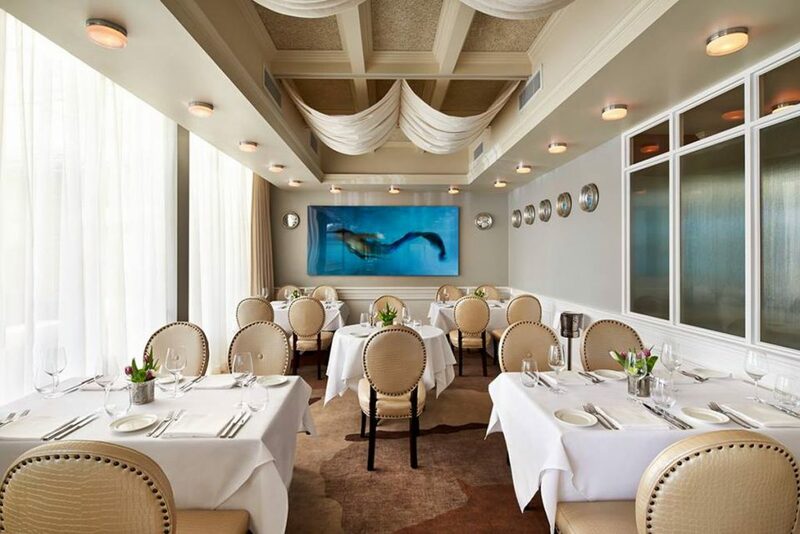 While each has its own unique atmosphere and menu, Fiola Mare is where you go to eat some of the best seafood Washington, D.C. has to offer, while taking in the scenic views of the Potomac. To understand Fiola Mare, one must understand the man behind it all: Fabio Trabocchi. Trabocchi started cooking at a young age in his hometown of Ancona, Italy. At 16, while still in cooking school, he was hired as a pastry chef by now closed and former three-star Michelin Ristorante Gualtiero Marchesi. By 18 he was a sous chef at a renowned Italian Michelin one-star restaurant and by 20 he was Chef de Cuisine at Byblos in Rimini. Trabocchi continued to rise in the culinary ranks of excellence that ultimately lead him to settle in Washington, D.C. and to open a series of highly successful restaurants. Honed in the Italian kitchen, Trabocchi is a master chef with a vision of distinction when it comes to food. Business-savvy and committed to creating the best atmosphere and dishes, his restaurants are all uniquely different, but similar in their dedication to delicious menus and world-class chefs. 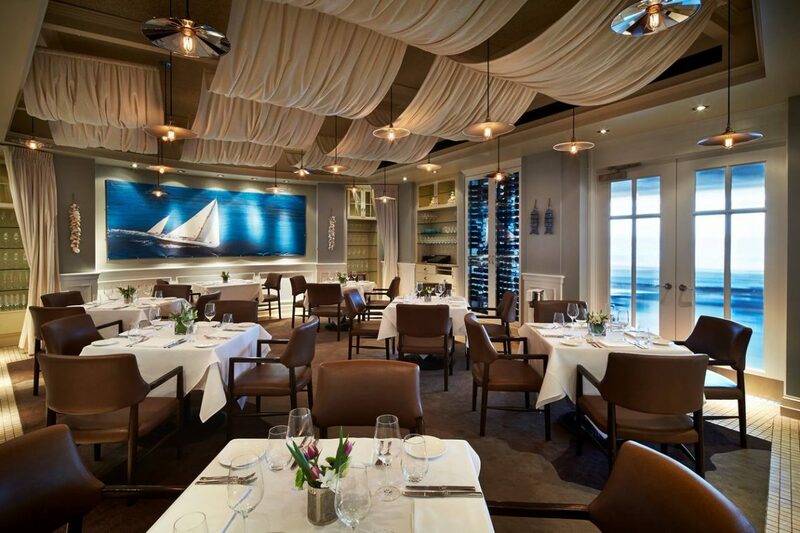 Fiola Mare makes you feel as if you are dining along the coasts of Italy, from its water-side location to its elegant décor with cream-coloured leather upholstered chairs and white billowy tablecloths. The moment you arrive you feel as if you are dining at a Mediterranean seaside villa. There is no element of pretence and the best description of the atmosphere is casual-chic, understated and sophisticated—let the food will be the star of the evening. The menu is seasonal and is subject to change based on what is fresh and available. This allows creativity to flourish in Fiola Mare’s kitchens and for guests to look forward to tasting new dishes in future months. The cuisine is coastal Italian through-and-through. The menu item you cannot pass up is the crudo. Similar to sashimi – where the taste lies in the freshness of the fish – crudo relies on the skillful pairing of oils and flavours to bring out the uniqueness of each dish. If you are not sure what to try, you can always rely on the expert advice and knowledge of the servers. They are just as essential to the Fiola Mare experience as the food. You can also pair each dish with a vintage recommendation from sommelier Megumi Awaya. 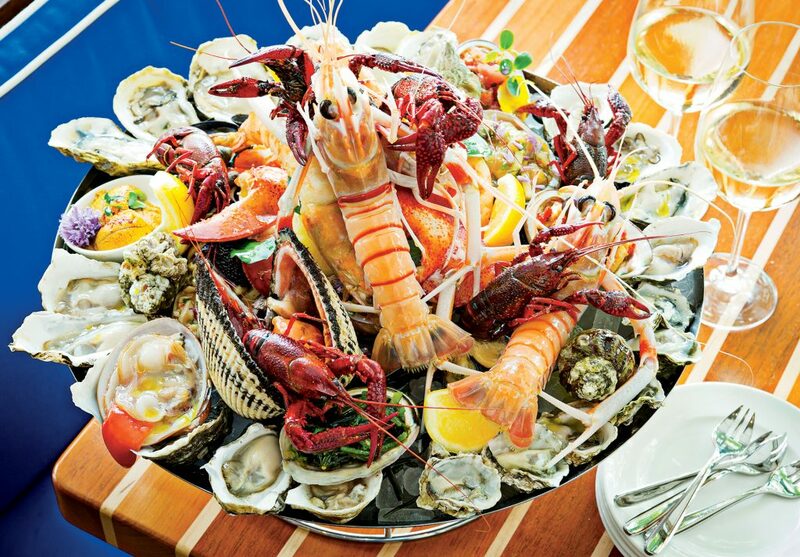 Ask for her sake recommendations for seafood dishes. You will not be disappointed and it gives a bit of delightful variety and surprise for the predominantly Italian dishes. Fiola Mare serves lunch, brunch, and dinner. It also has culinary cocktail-making classes and other special events. If you want to sit at the bar, enjoy the beautiful views of the food and scenery and try a few menu options the restaurant has weekday happy hours from 4:00pm to 5:30p.m. Either way, on your next trip to Georgetown or D.C. you do not want to pass up the opportunity to experience Fiola Mare. It is the closest you’ll get to the Italian coast without actually being there!